So many choices for mash flavours so little time. 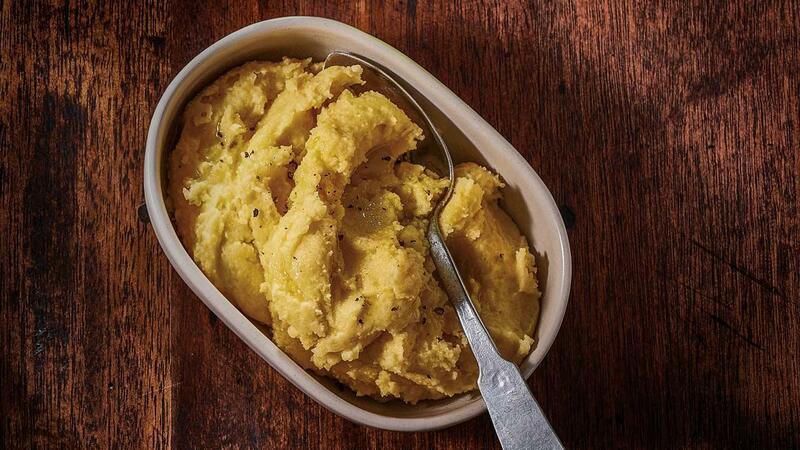 Forget peeling potatoes like a crazy person and do some funky mix 'n' matches using the KNORR GF potato Mash. Bring the water to the boil and add the polenta. Cook over low heat, whisking until smooth and thickened. Add the KNORR GF Mashed Potato Mix, butter and cream and whisk until a smooth mash consistency.